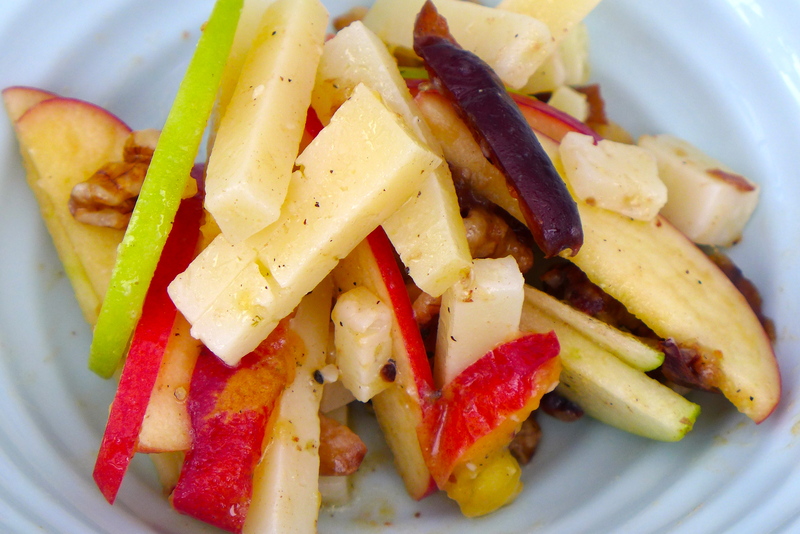 Apples, manchego, nectarines, dates, walnuts. Great as a starter, or for lunch with some bread on the side. This salad doesn’t look very exciting. My husband admitted he was a bit skeptical before tasting it, but the soft satisfying Manchego cheese and the crisp apples, really work. Next time I will add some rucola for its peppery taste (and color), and add a teaspoon or two of walnut oil. Mix and taste until you get the right mix of sweet, salty, lemony, peppery, soft an crispy.